The heart of every email marketing: the distributon listThis is how you manage to build up a good distributon list and maintain it for as long as possible. Surely you already have some e-mail addresses in your distribution list. But how do you make it grow? Generally speaking, a good e-mail distribution list is part of the basic equipment of every professional marketing campaign. This is simply because you can still reach the majority of customers and prospects best by e-mail. 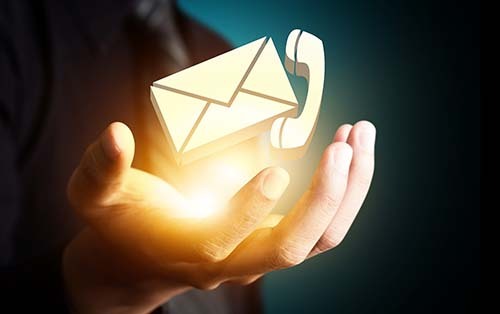 Once an e-mail system has been implemented, the channel can be operated relatively quickly and easily. Another advantage is that with professional programs you can work with mailing lists and target groups and thus any selections are possible. Of course, there are many other advantages from personalisation and campaign creation to automation. In order to really be able to use these, a well-filled e-mail distribution list is necessary. In this blog post, we will talk about how you can achieve this as successfully as possible. It’s not always about making new contacts. It is also important to make use of existing potential. In the best case, you have already collected customer data, e.g. in a CRM system. If not, it is about time to make use of it. But you could also include business partners in your mailing list, which often leads to interesting follow-up transactions. Even if these contacts do not always fully correspond to your target group, it is good to them remember you occasionally. Also use your environment. Depending on the product or service, employees, friends and family or other supporters can also be included in the mailing list. However, you have to keep in mind that you can’t just wildly add people. You always need their consent or a legal basis! If you contact people without their consent, they may mark you as spam. This can have a negative effect on your reputation and reduce the value of the distribution list as well as the delivery rate. In the worst case, you may also receive a letter from a lawyer claiming an injunction. Use every opportunity when you are in contact with your potential newsletter recipient, e.g. when placing an order – whether online, by telephone or in the shop – and ask him personally. It is also possible to ask for your newsletter’s approval by post, e.g. with raffle postcards. You can also use pop-ups, push messages or sticky layers to make your website visitors aware of your newsletter offer. Clearly point out the advantage or additional value that the newsletter contact will have. If he or she agrees, secure yourself with a double opt-in. Please also ask your existing contacts to further share the registration link. You can grant rewards for successful recommendations, for example. Surely you also know the exception paragraph from the law against unfair competition. Under strict conditions, you have the option of sending e-mail advertising to your customers without explicit consent. This procedure is possible if all 4 conditions of § 7 Item 3 Nr. 1 – 4 UWG are fulfilled. However, the customer must be informed of his right of objection at the time of purchase and subsequently in each newsletter. Only under these circumstances this law can be applied as a basis. By the way, e-mails without advertising character, i.e. so-called service e-mails, which serve to fulfil the contract, are excluded from this. Even if the primary goal is to set up a distribution list, you should still check whether the contact really offers you something. First of all, the e-mail address should be active and a user should be reached who actually checks his e-mails. In addition, there should also be a professional interest. Of course one has only a few addresses, if only friends and family sign up. However, if you manufacture technical components, for example, that might be relevant for very few of these people. The situation is different with consumer goods. If, for example, you sell a new type of organic lemonade, your circle of acquaintances will certainly include some future buyers. The situation is more difficult if you are dealing with a completely new contact that does not yet connect any positive experiences with you. You know it yourself: Most of them are initially hesitant when it comes to giving out the e-mail address. From the customer’s point of view, nothing is more annoying than constantly receiving irrelevant and uninteresting advertising mails. This means that you have to offer the customer or contact an added value so that he or she feels fine with giving out his or her e-mail address. And that’s not all: If you want them to stay on your mailing list for a long time, then the newsletter must keep its promises. The content must remain exciting even after the address has been acquired. What can I give a prospective customer to register voluntarily? This equivalent value should be so valuable for the prospective customer that he is ready to exchange his e-mail address for it. Something they really want. Something that expands his knowledge, that solves problems or gives him/her other advantages. Below are a few suggestions as to what is possible. Do you have content which is interesting for your target group? Then make them available on your website in exchange for registration. This could be whitepapers, e-books, studies, videos or music that are not freely available. But make sure that the contents keep what they promise, otherwise your new recipient will be frustrated and quickly disappeared from your mailing list. An additional value can also be the possibility of testing products or services in advance. This can happen in the form of product samples, e.g. for groceries, household and drugstore products. But also demo or test accounts for software applications are possible. Membership in a non-public, preferably exclusive group or community can also offer an incentive. This VIP access can, for example, enable an exchange of customers. There may be offers there which are reserved exclusively for members. But also an earlier availability or pre-booking of hype products can be an inducement. 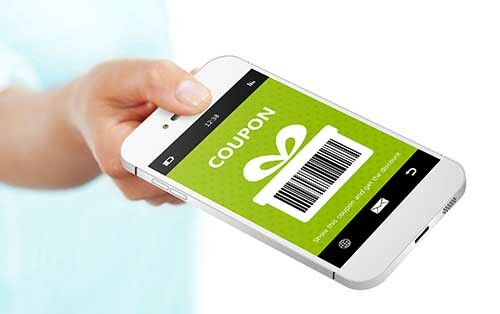 Discounts or coupons are a popular means of gathering email addresses, especially in online shops. For example, there are 20 percent or a 5 euro voucher on the first purchase once the potential buyer registers for the newsletter. One advantage is that you can directly reach your target group here, as either the purchase has already been made or a purchase is intended. The vouchers can also have a time limit in order to make an early purchase decision. You can also combine this possibility with special occasions. For example, 2 weeks before christmas you offer a 30 per cent discount in exchange for a registration, in order to increase the pressure on prospective customers. Further possibilities are free shipping vouchers or extra bonus points if you work with customer cards. Raffles are another popular way to fill the mailing list. You can raffle just about anything: from your own product range to IT pieces – such as the latest iPhone, journeys, money prizes, tickets to the starting grid for a city race. As soon as an interested party wants to participate, you will have their e-mail address. Use all channels available to you and not just your own website to distribute the competition. Mention the raffle e.g. also in your e-mail footer or distribute it via the social media channels. But beware: The more attractive the prize, the more people who do not fall into your target group will address you in this way. The quality of the addresses obtained in this way is therefore probably somewhat lower. You should also take protective measures against misuse. Raffles always attract bots and dubious people. Sometimes it is enough to place the newsletter registration on your own website more prominently. The offer is often times not noticed by the prospective customers at all, due to it beeing placed quite inconspicuously in a corner. But in the long run it is worth it, if you generate more attention for this element, because you remain in contact with the prospective customer, even if he has already left your website again. And someone who wants to receive the newsletter on their own is definitely your target group! One possibility, for instance, could be a sticky layer that keeps the registration always in your visitior’s field of vision. It may also attract attention on your site through animation or signal colors. But you can also generate more attention if the registration breaks through structures and lines and stands out. And if something is really important to you, you can also place it several times or combine different possibilities with each other. In addition to the normal newsletter registration on the website, a pop-up or a layer can also open at certain intervals or for certain actions, prompting you to register for the newsletter. Here, the viewer’s attention is not distracted by other content on the page. However, the focus should also be on the obvious added value. In case of a job exchange, for example, this can mean that you no longer miss a job that matches your own search criteria. Be careful, however, that the pop-up does not appear too frequently and is not displayed at a disruptive point in time, as otherwise the visitor will quickly become annoyed and may cancel an order process that has already begun. Especially in the case of consumer goods and a young target group, you can also try influencers. Look for a suitable person who has a high degree of awareness and popularity among your target group. This particular person will then receive money or another advantage will be offered, in order for him or her to pass on the advantage of your product to his community and also recommend subscribing to the newsletter. Link to the newsletter subscription in your e-mail signature. Also use your social media profiles and place a link to your website or registration for the distribution list. But also use editorial social media posts. Here you can, for example, refer to a whitepaper, which is then only available against registration. In addition to the classic social media profile, most channels now also offer various groups. Use them to place your content that requires registration. These are particularly suitable, since you already have selected target groups here and thus reach exactly the people for whom the offer is also intended. Use content not only for your own channels, but if the opportunity arises, place your content with links on other websites and channels. This can be, for example, a guest contribution to a friendly company or an industry-specific online magazine. Advertising banners on other websites are also conceivable. A few years ago it was customary to buy email addresses. However, this is legally problematic at the latest since the GDPR, since the double opt-in required by the recipient is missing. Also the quality of the addresses often leaves to be desired. Since the address holder has not actively registered, it is not known whether his own products are relevant to him at all. Therefore you pay a large sum for addresses with which you can usually only acquire a few customers. Therefore it is not advisable to buy addresses. Last but not least: Get your distribution list! Now you have a well-stocked distribution list and everything is fine? Unfortunately not, because it does not only cost work to build up a distribution list, but also to maintain it. It starts with the content. Don’t just place any press releases in your newsletters, which are important for your company, but rather uninteresting for the recipients. Take a look how you can offer your customers additional value with your newsletter. This can be a good offer, a practical tip or best practice example, or even industry-relevant content is interesting. Every now and then a press release is fine, but always remember that at first glance the content should primarily serve your recipients and not your company. Also experiment with the shipping frequency. Under certain circumstances it may be too for your recipients. Don’t forget to set up special onboarding or reactivation campaigns to create as much interaction with your recipients as possible. Otherwise, your receivers will quickly leave the laboriously set up distribution list again. Good luck in setting up your distribution list!